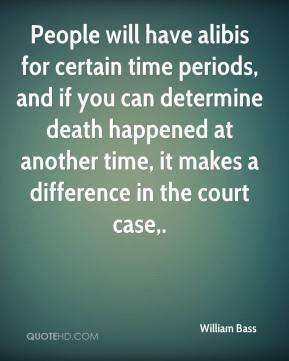 People will have alibis for certain time periods, and if you can determine death happened at another time, it makes a difference in the court case. 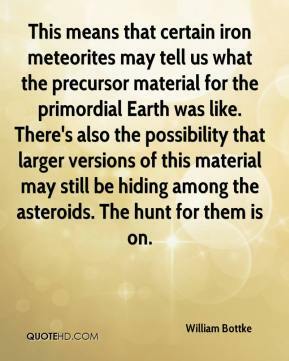 This means that certain iron meteorites may tell us what the precursor material for the primordial Earth was like. There's also the possibility that larger versions of this material may still be hiding among the asteroids. The hunt for them is on. 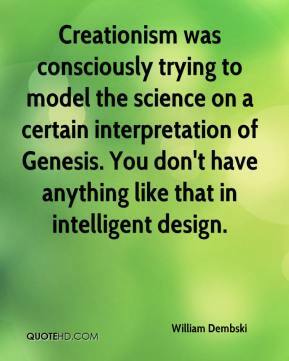 Creationism was consciously trying to model the science on a certain interpretation of Genesis. You don't have anything like that in intelligent design. 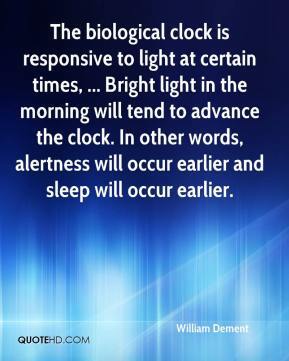 The biological clock is responsive to light at certain times, ... Bright light in the morning will tend to advance the clock. In other words, alertness will occur earlier and sleep will occur earlier. 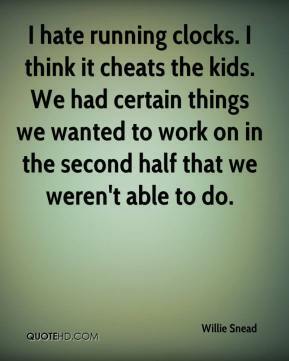 I hate running clocks. I think it cheats the kids. We had certain things we wanted to work on in the second half that we weren't able to do. 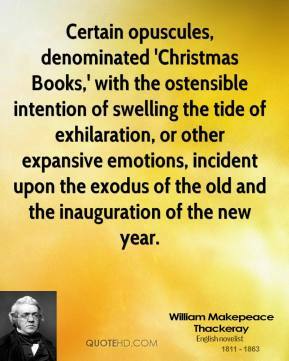 Certain opuscules, denominated 'Christmas Books,' with the ostensible intention of swelling the tide of exhilaration, or other expansive emotions, incident upon the exodus of the old and the inauguration of the new year. 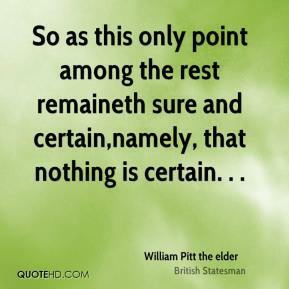 So as this only point among the rest remaineth sure and certain,namely, that nothing is certain. 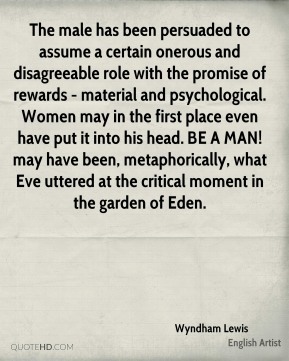 . .
Marital problems became one of the major causes of murder. 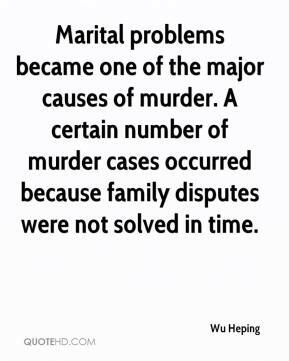 A certain number of murder cases occurred because family disputes were not solved in time. 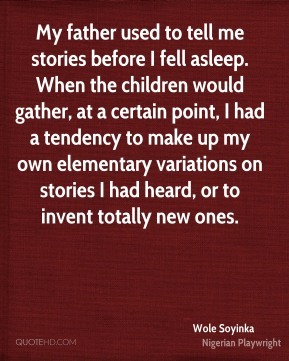 My father used to tell me stories before I fell asleep. When the children would gather, at a certain point, I had a tendency to make up my own elementary variations on stories I had heard, or to invent totally new ones. 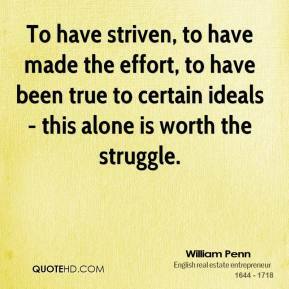 At a certain stage fighters get to a point where they don't need titles to be defined as a great fighter. I think titles are a great thing to have, don't get me wrong. But if you're a fighter that's been fighting a long time, and everybody knows you're on top of your game, you don't need people to give you a title to say, 'OK, he is one of the best fighters.' All I'm saying is if you put the titles up there, I'll win the titles. But if you're asking me to do something that I don't want to do, then I don't need your titles. I want to be a fans' champions. 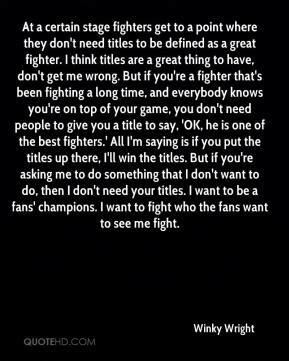 I want to fight who the fans want to see me fight. 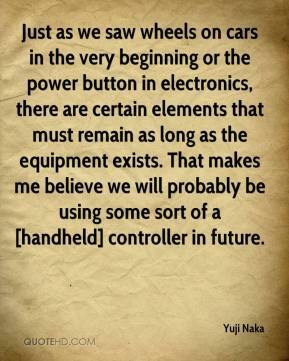 Just as we saw wheels on cars in the very beginning or the power button in electronics, there are certain elements that must remain as long as the equipment exists. That makes me believe we will probably be using some sort of a [handheld] controller in future. Could it begin again? 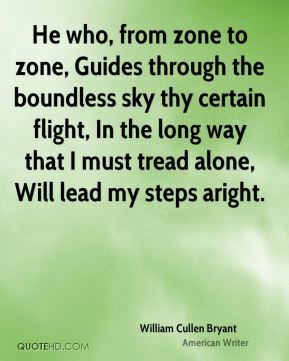 It would need certain conditions and we can say that today those conditions do not exist. 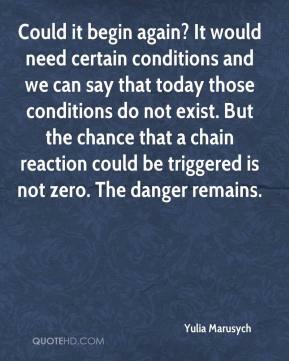 But the chance that a chain reaction could be triggered is not zero. The danger remains. 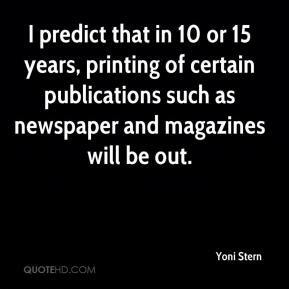 I predict that in 10 or 15 years, printing of certain publications such as newspaper and magazines will be out. 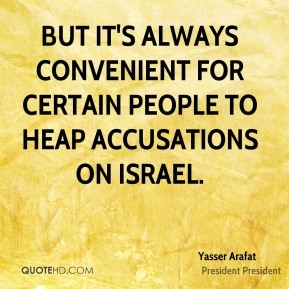 But it's always convenient for certain people to heap accusations on Israel. He might not have been welcomed back last year at a certain time. I was upset. 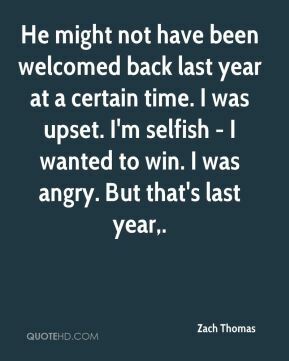 I'm selfish - I wanted to win. I was angry. 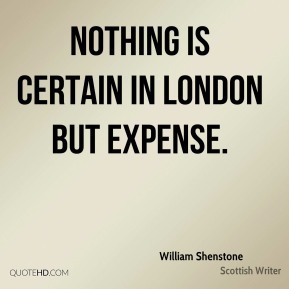 But that's last year. 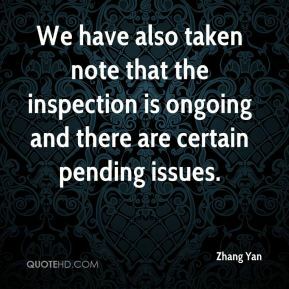 We have also taken note that the inspection is ongoing and there are certain pending issues.